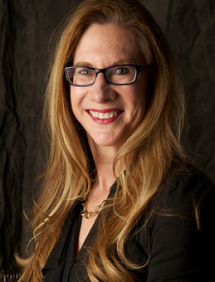 Women’s philanthropy expert Debra Mesch has been selected to hold the world’s first endowed chair dedicated to research and teaching about women’s philanthropy. As the Eileen Lamb O’Gara Chair in Women’s Philanthropy at the Indiana University Lilly Family School of Philanthropy, Mesch will expand research, understanding and awareness about women’s unique and powerful role in giving, volunteering and leadership of philanthropic organizations. The appointment is effective July 1, 2015. Mesch is director of the Women’s Philanthropy Institute (WPI) at the school, and will continue to serve in that capacity. She also is professor of public affairs in the School of Public and Environmental Affairs at Indiana University-Purdue University Indianapolis (IUPUI). Mesch will conduct cutting-edge research on women’s philanthropy and on gender differences in philanthropy, translate research into improvements in philanthropic practices and develop academic courses in the school. She will provide new insights and information for students, donors, fundraisers and nonprofits. The Eileen Lamb O’Gara Chair in Women’s Philanthropy was a gift to the school from Maureen and Jim Hackett and is named for Maureen Hackett’s mother, an entrepreneurial businesswoman who dedicated her life to helping and caring for others. Mesch succeeds esteemed philanthropy scholar Mark Ottoni-Wilhelm, professor of philanthropic studies and economics at the school, who currently serves as visiting holder of the chair. With her colleagues at the Lilly Family School of Philanthropy, Mesch has developed the groundbreaking Women Give series of research reports examining differences in how and why women give and the effects of factors such as age, marital status, religion and income on gender differences in the likelihood and amount of giving to charity. She and her colleagues also study issues such as the household dynamics of giving and the influence of women as decision-makers in household giving; gender differences in giving by high net worth households; and the role of women in transforming philanthropy. Mesch currently is leading a project funded by the Bill & Melinda Gates Foundation that will expand knowledge of women’s philanthropy. She has undertaken studies addressing the role of women in Lions Clubs International and is currently working on a national study of giving and volunteering of Lions Clubs in China. Her research agenda has focused on women’s philanthropy, issues of civic engagement, volunteer motivation and management, executive compensation in nonprofits, human resource management in nonprofits, diversity and race and gender issues in giving and volunteering. An author of book chapters on her research interests, Mesch also has published more than 45 articles in peer-reviewed journals. She has made numerous presentations nationally and internationally on women’s philanthropy since becoming director of WPI in 2008. Before joining Indiana University, Mesch taught at Simmons College and the Northeastern University College of Business in Boston. Mesch earned her M.B.A. and Ph.D. in organizational behavior/human resource management at the Indiana University Kelley School of Business. The Women’s Philanthropy Institute (WPI) is part of the Indiana University Lilly Family School of Philanthropy. WPI increases understanding of women’s philanthropy through rigorous research and education, interpreting and sharing these insights broadly to improve philanthropy. Follow us on Twitter @WPIinsights. The Indiana University Lilly Family School of Philanthropy is dedicated to improving philanthropy to improve the world by training and empowering students and professionals to be innovators and leaders who create positive and lasting change in the world. The school offers a comprehensive approach to philanthropy through its academic, research and international programs and through The Fund Raising School, Lake Institute on Faith & Giving and the Women’s Philanthropy Institute. Follow us on Twitter @IUPhilanthropy and “Like” us on Facebook.